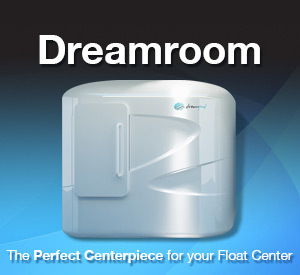 Blog » Why do people use flotation tanks? Flotation tanks are dark, soundproof pods in which people float in warm water for hours at a time. They have been a niche interest of various new-age and hippy communities for decades, but in recent years the number of people using them in the UK has grown, writes Tom Ireland. Gary Mossman is a 26-year-old tattoo artist in Basingstoke. He has started to use flotation tanks to explore what he refers to as the “theta-state”, a drowsy or trance-like state which he hopes will help him be more creative with his tattoo designs. Developed in the 1950s, the original goal of the flotation tank was to explore and experiment with consciousness, and the activity has had new age undertones ever since. Fans of The Simpsons will remember Homer going on a psychedelic flotation tank trip, or the cult 1980 film Altered States, where a scientist experiments on himself in a tank and goes berserk. Sensory deprivation in water-filled pods was first studied by the controversial scientist John C Lilly, but his interest in psychedelic drugs and dolphin communication meant some refused to take his research seriously. Now a growing number of researchers are studying sensory deprivation’s effects again. In 2015 a laboratory dedicated to studying flotation tanks was set up at the Laureate Institute for Brain Research in Tulsa, Oklahoma. Early work has suggested that floating – referred to as Restricted Environmental Stimulation Therapy – could be useful in treating stress and anxiety-related conditions such as post-traumatic stress disorder. In Sweden, where patients can be referred to a float tank centre by their GP or employer, there are more tanks per person than anywhere else in the world. Many newcomers to floating are attracted by the huge range of potential health benefits listed on spa and float centre websites – not all of them yet backed up by evidence. 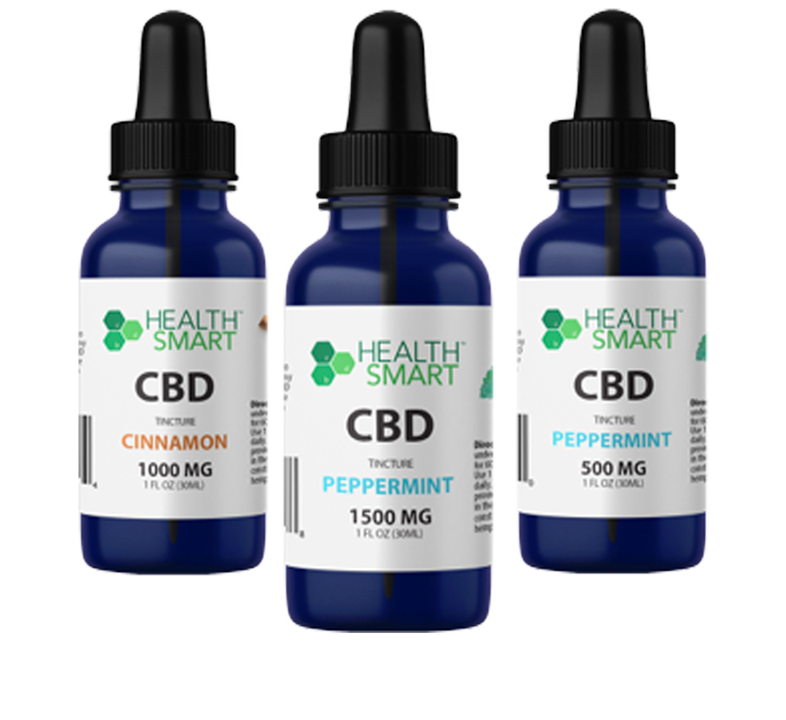 Some find floating provides relief from painful inflammatory conditions, such as fibromyalgia. Others believe regular floating can enhance their mood, problem-solving abilities, and creativity. “I do it to help visualise ahead of my next competition,” says Adam Adshead, a jiu jitsu martial artist from Manchester. He has “floated” every week for the past 18 months. 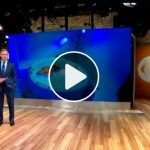 Many users have heard about floating through the podcasts of Joe Rogan, an American comedian, sports commentator and floating enthusiast. Rogan’s hugely popular podcasts have almost single-handedly popularised floating in the US, where there are now over 300 floating facilities. 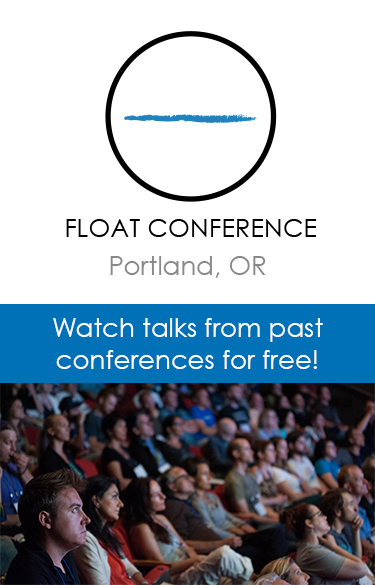 The world’s first 24-hour float centre recently opened in Portland, Oregon. As the ambient music in the tank fades out, my main concern – that I am going to go mad in here – starts to fade too. Being completely buoyant (and completely naked) in the warm, womb-like pod is unusual but really quite pleasant. For a long time I just bob about, thinking and listening to my organs gurgling. Occasionally my eyes play tricks on me as I stare into the darkness. I can feel my toes poking out of the water and my head bangs against the side now and again – annoying enough when you’re having a bath, but a disturbance of epic proportions when you’re in a sensory deprivation tank. I drift between long daydreams and a feeling that I am floating through the night sky, and it becomes hard to tell if my eyes are open or not. Then, zap! I see a flash of light, like a camera flash. A few minutes later – zap! It happens again. What is going on in here? I look around to try and get my bearings but there is nothing to see. The remainder of my float is a blur. When the music comes back on to signal the end of my hour, I’m sleepy and disorientated – I feel like I’m upside down. But I really, really, don’t want to get out. 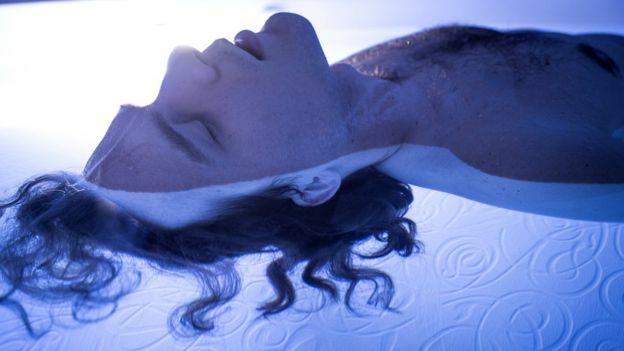 As well as being pitch-black and soundproofed, flotation tanks are filled with extremely salty water, so that users stay completely buoyant, even if they fall asleep. The air and water are warmed to the exact temperature of the skin, making it possible to lose all sense of the body’s external boundaries. With almost nothing to see, hear or feel an hour in a flotation tank induces a deeply relaxed state, similar to the effects of meditation. But this near-complete sensory deprivation can also lead to hallucinations and out-of-body experiences. There are now over 30 places to float in the UK, and at least five new facilities dedicated to floating have opened in the past 18 months. Most tank operators say they are looking to expand as the number of clients booking sessions increased significantly last year. Barbara Hastings-Asatourian, a retired lecturer from Derbyshire, has advanced osteoarthritis and is waiting for a double hip replacement. She says floating not only leaves her feeling “blissed out” but reduces her pain and stiffness, helping her remain mobile enough to teach yoga. Hastings-Asatourian makes the hour-long journey to her nearest float centre in Manchester once a week. 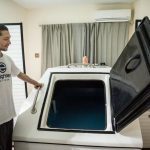 The science is not yet there to back up many of the claims made about floating, and sceptics suggest that any perceived benefits may just be from basic relaxation. Some will also balk at the cost. An hour in a tank costs anywhere between £45 and £70 in the UK, which could be prohibitively expensive for many. The enormous pods cost between £15,000 and £40,000 and must be fitted in specially prepared rooms. Most of the pods are still in dedicated centres. Elsewhere, the cost factor suggests they are likely to remain the preserve of a select group of spas and hotels for the moment. But if research is able to prove there are benefits, that may change.